You love Ultima Underworld? Then join the original team behind Ultima Underworld on a quest to rekindle this legendary fantasy RPG series. Be a backer and pledge for Underworld Ascendant. The Kickstarter campaign ends on Fri, Mar 6 2015 2:54 PM CET. In 1992, Ultima Underworld changed the rules of what a fantasy RPG could be. It introduced the concept of 3D immersion, a player-authored experience, and a richly dynamic world to explore. Its influence led to a whole generation of games such as Thief, Deus Ex, BioShock, Skyrim, and Dragon Age. Underworld has been hidden away in the deepest vaults of its publisher for two decades. Only now have the original creators unchained the franchise, freeing it to innovate yet again. Backing the game grants you unprecedented front row access to the creation of the next epoch of this storied masterpiece, Underworld Ascendant. Supplement: Underworld Ascendant was succesfully funded with $859,056. Now the journey continues. 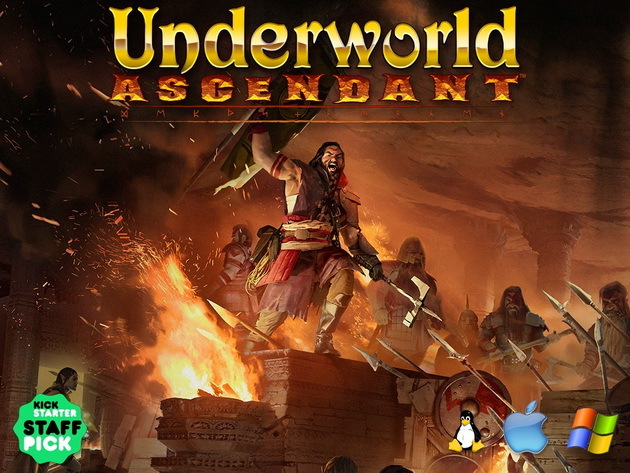 Visit underworldascendant.com for updates, news, and new ways to help raise the Underworld.